The Satya Sai Baba Nag Champa Incense is hand rolled according to the ancient method of agarbatti. Nag Champa is a blend of flowers, spices, and resins, and each Incense stick burns for about 45 minutes. Incense is used to elevate your mood and enhance environments. 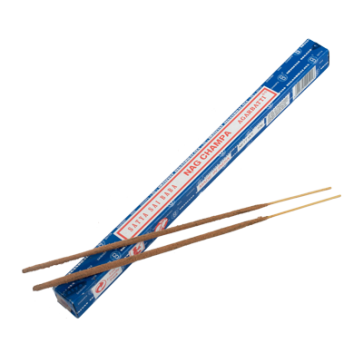 The Nag Champa Original incense is said to help open up doors to another dimension. The natural ingredients - herbs, resins and masala - are blended to perfection, in order to create a soothing aroma. This aromatic incense with its sweet, yet earthy fragrance will enhance any mood or environment!